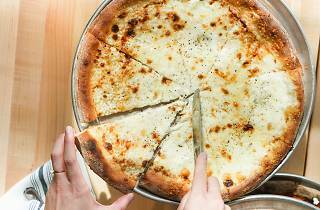 Just when we thought that Chicago had too many pizza joints, Pizzeria Bebu opened its doors with 25 pies that highlight delicious seasonal ingredients and genius flavor combinations. Purists will dig the pepperoni, which is accessorized with spicy Calabrian chiles, fresh basil and melty Parmesan cheese. Looking for something a bit more adventurous? You can't go wrong with the Garden State, which is dressed up with with mozzarella, broccoli rabe, pickled jalapeño, red onion and ricotta. 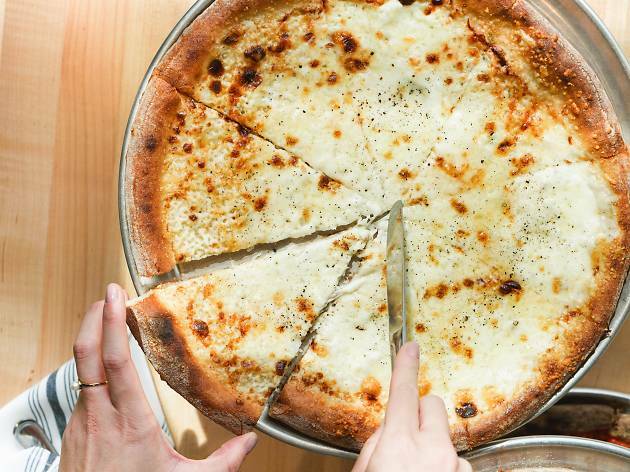 And because guests can order each flavor by the half pie, you can mix and match to avoid FOMO.